Being in Texas is great! There is a city for every personality, Texas has no state income tax, and the weather is always warm! There is a well-known expression about the state, “Everything’s bigger in Texas!” this also applies to the state’s bigger need for a good HVAC system. Having an HVAC in Texas is essential, otherwise it’ll be extremely painful because the weather never stops being hot! Fin production is crucial to the functions of an HVAC. There are several types of fins used in HVAC systems. Examples include condenser and evaporator fins, both of which allows air to flow smoothly through the machine. Furthermore, compressor fins are located on the outer portion of an HVAC. It looks like a grill with metal fins throughout it. These condenser fins assist heat in moving away from the HVAC so the heat disperses more quickly. And evaporator fins are located on the evaporator. As it extracts heat from the air, the fins help the thermal energy exchange process. Air is blown over the fins where it is cooled before being sent from the HVAC through the vents and into the various rooms. Each type of fin is important in an HVAC system. Without even one type of fin, the HVAC could face serious damage. It could malfunction, clog, or even overheat. Here at Tridan, we know that so we only sell the best machinery for your best interests. Products made with our machines last. At Tridan International we have fin production machines for all types of work volume. In addition, we have machines that can handle low-volume production, medium-volume production, and high-volume production. If you are looking for a capable machine in the manufacture of HVAC fins, of any grade, come to Tridan International! We have the best machinery at the best prices. Contact us today or fill out our quote form. We cannot wait to hear from you! 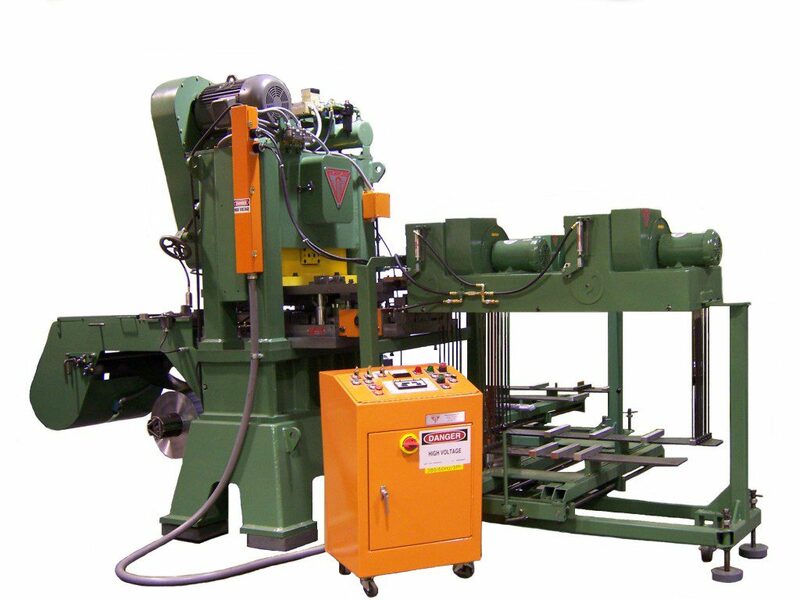 When looking for tube fabrication machinery in Tennessee or coil expansion in Tennessee, look no further than Tridan. Tridan supplies machinery for coil expansion and fabrication to companies all over the globe. Here in the United States, we have clients in Tennessee, Oklahoma, Texas and many others. We specialize in machinery that helps you build HVAC systems. Our machines help in the tube fabrication process. We sell industry leading machines for coil expansion. Our machines include Cellular Horizontal Expander, Qual-Ekon, Semi-Automatic and the Low Profile Expander to name a few. Coil expansion is a crucial process and our machines can help you accomplish your goals. If you are a representative of an HVAC System Manufacturer, contact us today. Of course, coil expansion is not the only area you may be interested in. Our Fin Production machines can handle any level of production for your business. Also, we sell the accessories you need to accompany your fin production machines. Accessories such as a die cart (which can handle up to 5000 lbs), fin stock dolly and the fin stock threader. Lubricants are also essential for production. Our special lubricants are developed for the processing of evaporators and condensers that are used in HVAC systems. Evaporative lubricants are great because they do not require cleaning. In addition, the lubricant evaporates from the surface of the fin. We also carry petroleum lubricants, these need to be cleaned by vapor degreasing or by using an aqueous cleaner. Tridan International is located in Danville, Illinois, but we supply machines all across the country and the globe. If you are looking for coil expansion, fin production or any other type of machinery for HVAC systems contact us today. Finally, with decades of experience and top of the line customer service, Tridan is the right choice for you and your company! For a limited time, Tridan is offering discounted pricing and fast delivery for in stock RLB 45 ton fin presses. In addition, the discounted pricing will also be extended to an accompanying order of a fin die, fin collector, spare parts, and accessories. Order yours today, because quantities are limited. With an extensive line up of fin production machines to choose from, we have the right equipment for your business. The RLB 45 is designed to handle low to medium workloads. Also, it is designed to be used with a huge variety of Fin Dies. 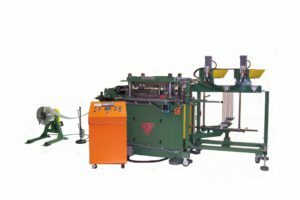 Some of the accessories for the fin presses include die carts, fin stock dolly, fin stock Threader-AFST and the fin stock Threader – FST. Of course, Tridan also offers other fin production machines such as the Fin Collector -VC-3WP, Fin Press – HFP75 and the Fin Press – RlC75F. These high volume presses can handle any size workload. Along with the machine, we have parts available such as lube tank cover, fin stock splicer, stock uncoiler sensor and a PLC control system. When it comes to Tridan, durability, dependability, and service is how our clients describe our best traits. With decades of experience and customer service, it is no wonder why Tridan is the industry standard when it comes to fin production. In addition to new equipment, we have a knowledgeable parts and service department as well. They can answer any question about maintaining your Tridan equipment. You can contact them here or call 217-554-7532. 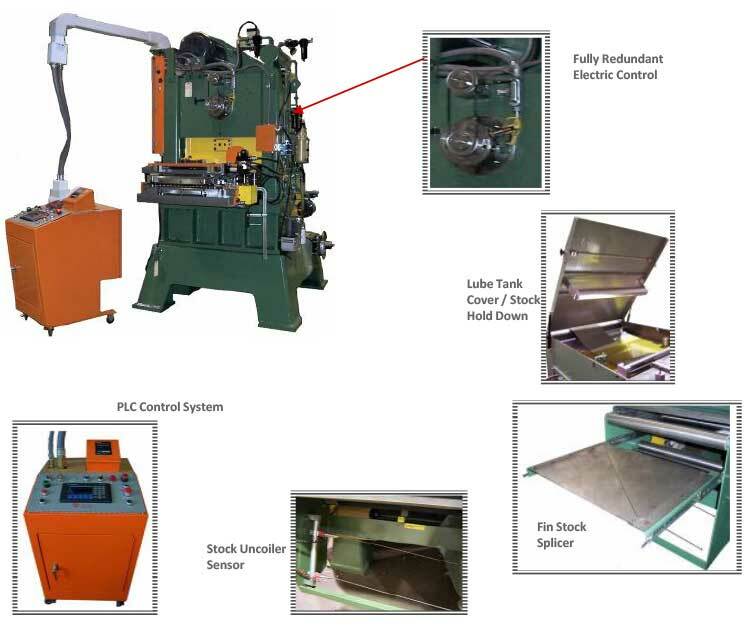 Finally, if you would like a quote on this great deal, please click here or call 217-443-3592 to find out more about our great fin production machines. Also, from all of us at Tridan International, we would like to wish you and your family a safe and Happy Thanksgiving!